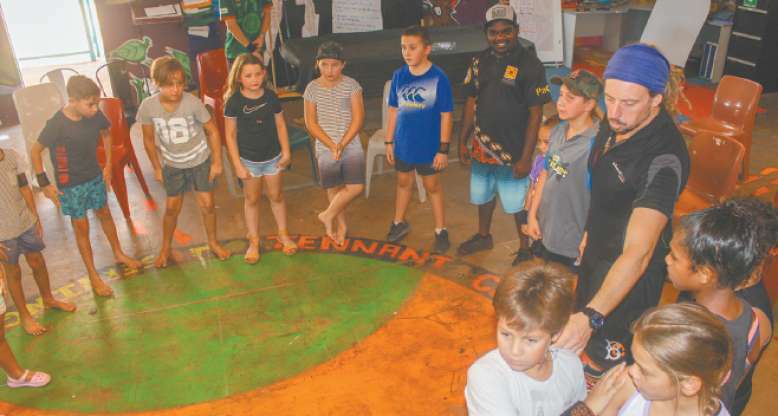 THIS year is off to a great start with the youth of Tennant Creek keeping active and engaged with Papulu Apparr-kari’s (PAK) School Holiday Program. Funded by Territory Families, the program kicks off at the Youthlinx building from 8am until 1pm, where PAK staff and Balanced Choice staff Adam and Yianni coordinate the activities. After a good feed for lunch, the children head to Anyinginyi Sports and Rec for more fun and activities until 4pm, before cooling off at the Barkly Shire Council Town Swimming Pool to swim, watch movies and take part in more fun and games until 8pm. PAK CEO Karan Hayward says it is great to see all groups working together to engage local children and to ensure they have activities to attend. Back in the December 2018 school holidays, the Youth Outreach and Re-engagement Officers (YOREOs) ran a similar school holiday program.